Recently I had the opportunity with fellow Cleveland Photographic Society members to take a three hour tour on the charter boat “Holiday“. Fortunately, unlike Gilligan, we did not get stranded on a desert isle! 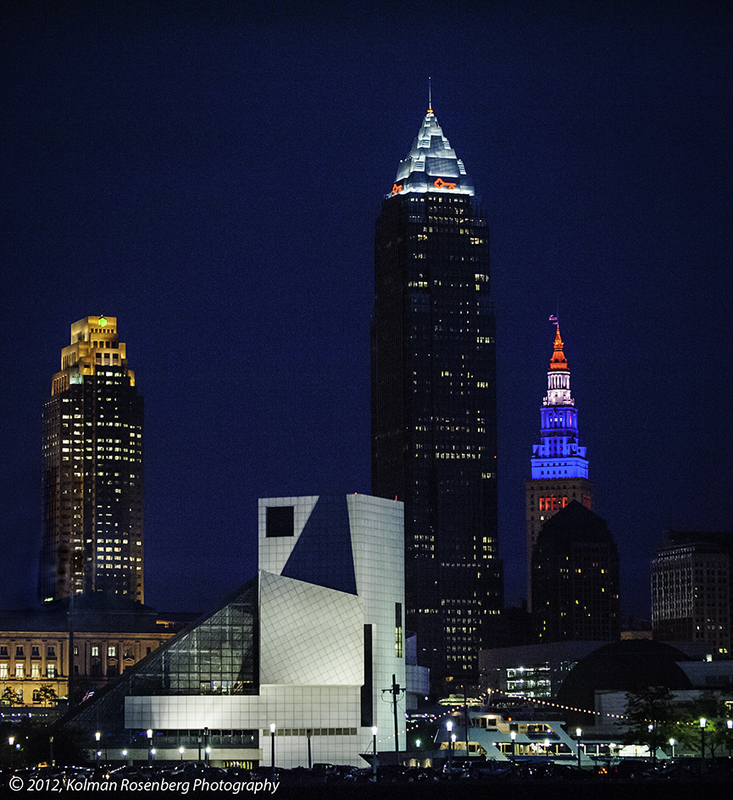 What we did get though was a tremendous chance to get some beautiful photos of the downtown Cleveland skyline, lighthouse, sunset, and bridges! It was a beautiful evening, though a bit hot. The partly overcast sky made for a nice background to the skyline as it darkened. 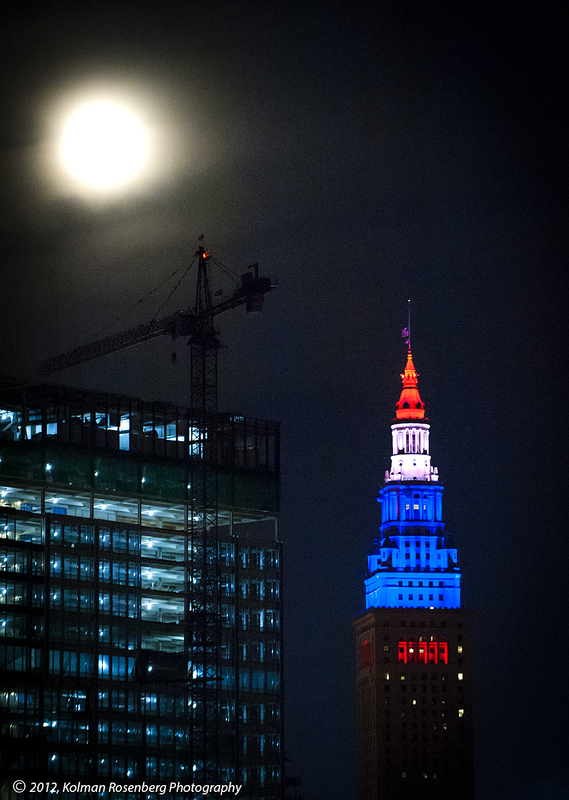 Later in the cruise the moon rose and highlighted a construction crane on top of the new building being built just west of downtown. The Navy was in town with several ships docked at the Port of Cleveland. One lesson I learned years ago is to look for my photos in the opposite direction that everyone else is concentrating on. While most of the group was on the starboard side of the Holiday, photographing the Naval vessels, I was on the port side, looking back toward the setting sun and captured this shot of a sailboat, backlit by the warm colorful sky and sun! After 3 hours we returned up the Cuyahoga River and I got some nice shots of many of Cleveland’s bridges! I’ll post some of those photos in my next posting. For now, I hope you enjoy these shots from my three hour tour! 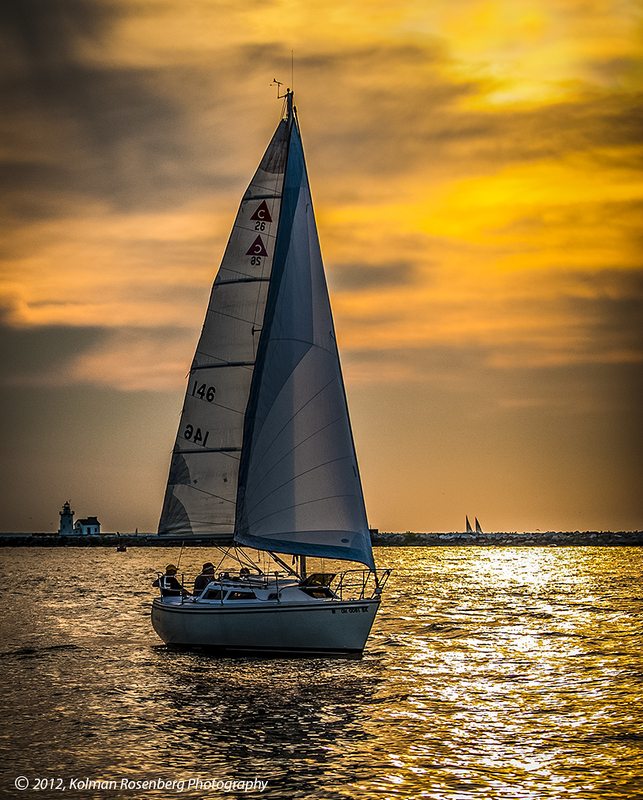 This entry was posted in Uncategorized and tagged boat, Cleveland, Cuyahoga River, gilligan, Goodtime III, high iso, Holiday, island, Lake Erie, night photography, OH, ohio, photography, port of cleveland, Rock and Roll Hall of Fame, sailboat, skyline, sunset, Terminal Tower, tour. Bookmark the permalink. Spectacular shots Kolman! And what a wonderful time it was! Thanks Barb! It was a spectacular night to shoot, wasn’t it? I hope I’ll be seeing some of your shots too! There were great shots to be taken everywhere you looked!